This block scraper is made of high carbon stainless steel. Keep your cutting board clean! 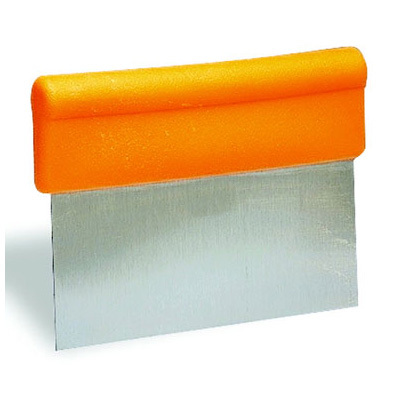 Block Scraper features 6" W x 4 1/2" stainless steel blade. Handle is one-piece molded plastic.